Sunk 16 September 1942 by the German submarine U-515 off British Guayana. 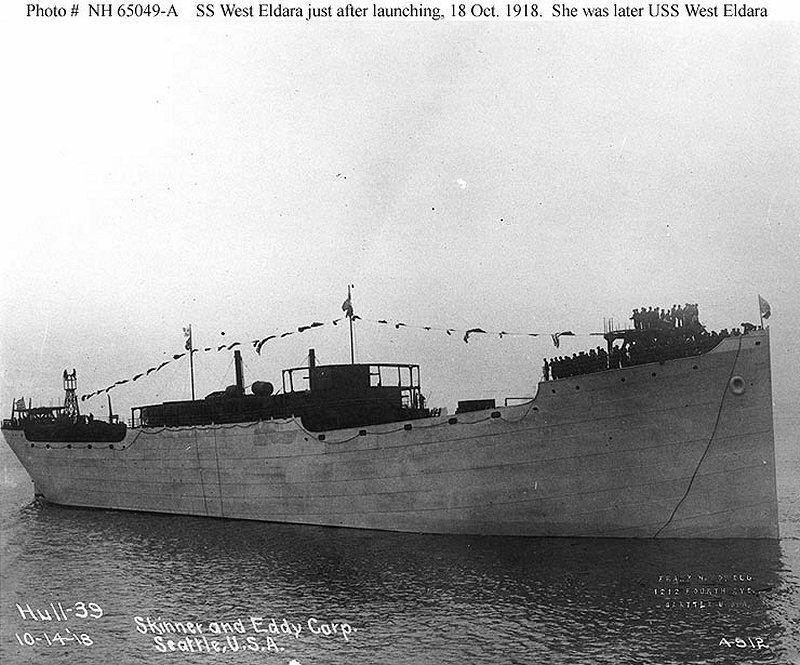 124k Afloat immediately after launching, at the Skinner & Eddy Corporation shipyard, Seattle, Washington, 14 October 1918. Photographed by Frank H. Nowell, 1212 Fourth Avenue, Seattle.